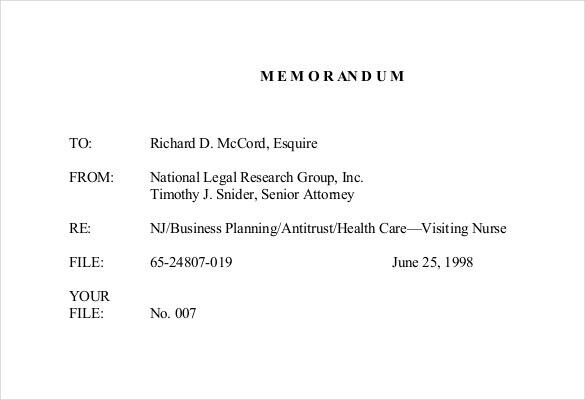 In any legal basis a memo is a vital document where any person or group must be in touched to be informed. 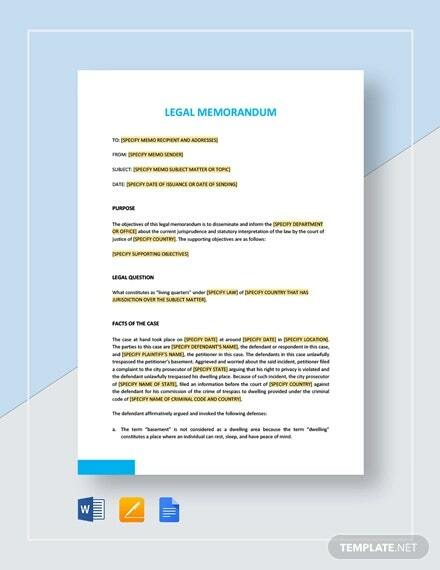 The formal memorandum template can give you the guide on what you must type in making any legal memo that all of the people concerned to it must comprehend the message of it to be able to follow any new rules or agreements.You may also see Professional Memo Template. 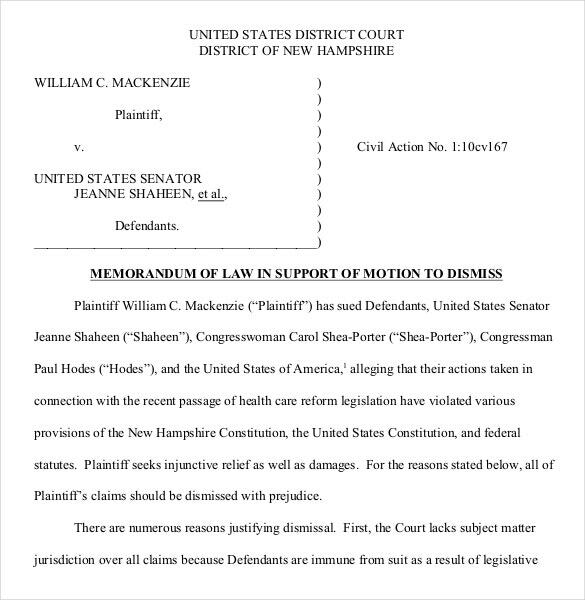 Officially authorized document like this can be used in any court proceedings to prove that such information was dispersed to the people. 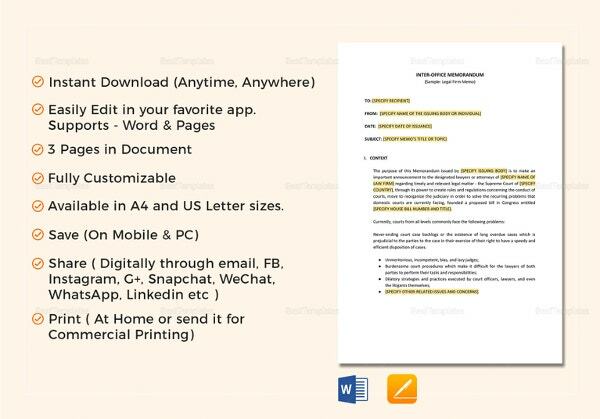 Making any due modifications like billeting form, signatory section and layout changes can be made using Memo Template. 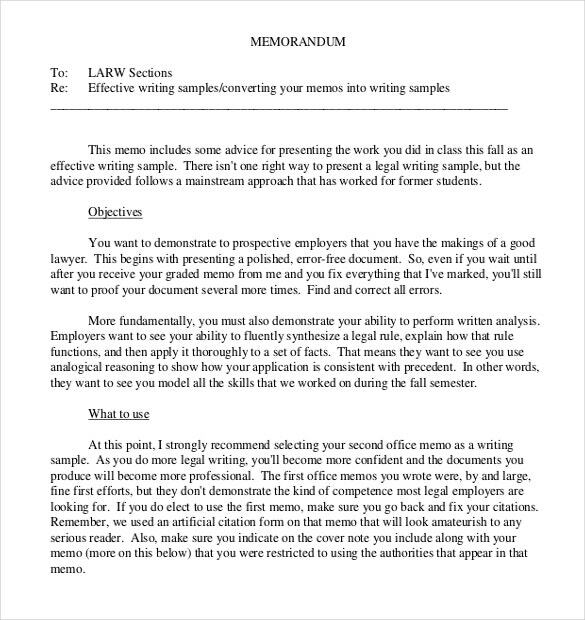 law.duke.edu | If you’ve been told to create a legal memo, you might be at a loss about how to proceed, since this can be quite complicated. But don’t worry, this template is here to help you out. All you have to do is hit the download button. 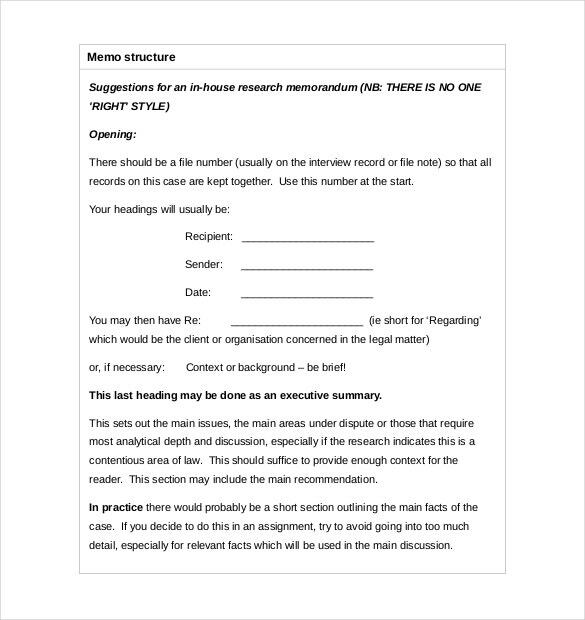 guides.lib.monash.edu | When it comes to legal memos, the part that worries us the most is the writing part of it. Not only does it have to be professional but will also have to take into account the legal aspect. 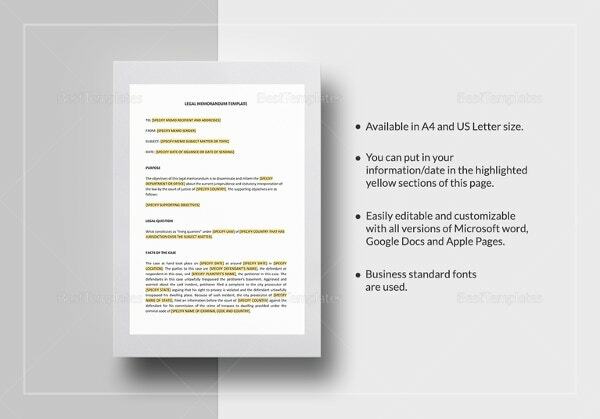 In such cases, you would benefit from using a well designed template like this one. 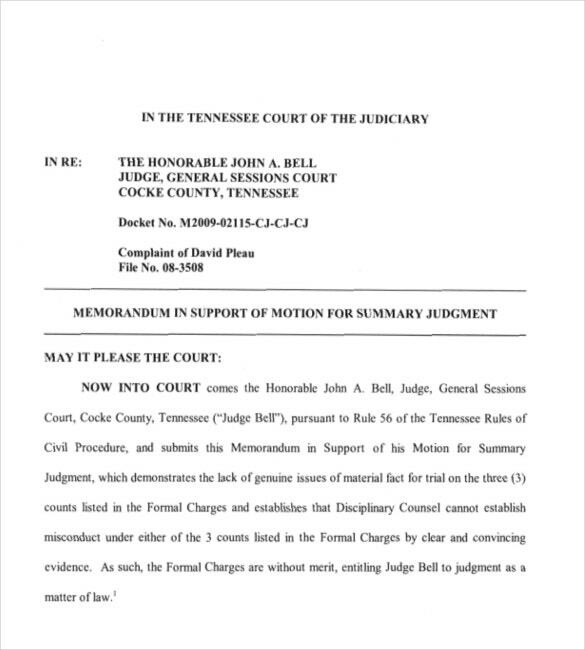 tncourts.gov | An important part about the legal memo is the summary of it. It must be well written and to the point. If that’s what you’re looking for, then this is the template for you. It looks attractive and is also simple and precise. You will not find a template more concise than this. 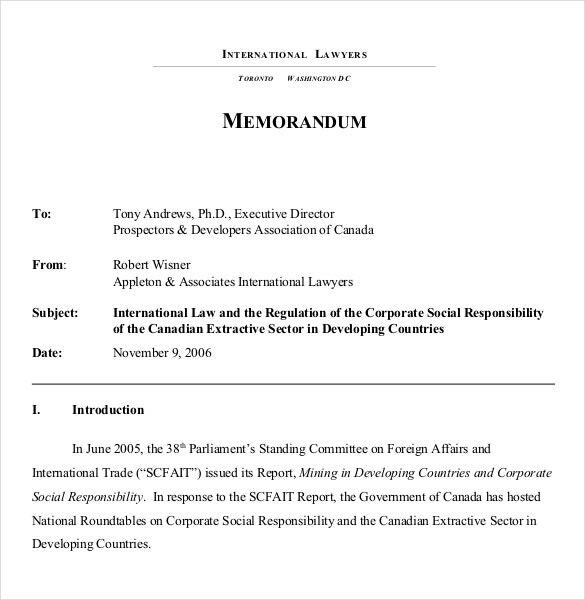 pdac.ca | You might need to issue a legal memo that is in accordance with international law. So what do you do? Why, you download this template of course! This template has a professional tone and formal strain throughout! justice.gov | Different kinds of legal motions are issued throughout the day and this particular template would be helpful if you were to use a motion to dismiss. 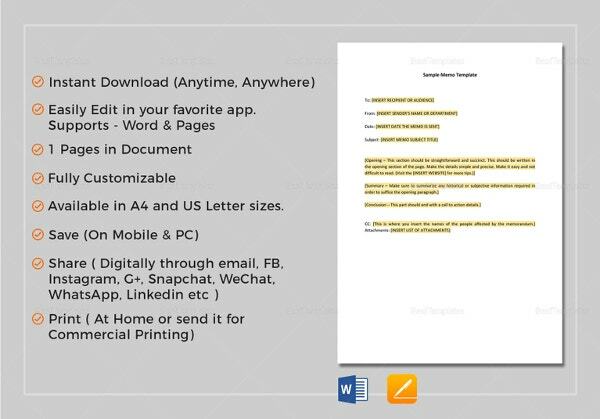 If that’s what you’ve been looking for, then you need to download this template without further ado. cdn2.hubspot.net | Health care organizations are bound by laws just like any other organization. Naturally, they too have to issue certain memos every now and then. If you’re part of one such health organization, you must look at such a wonderfully designed template for help. 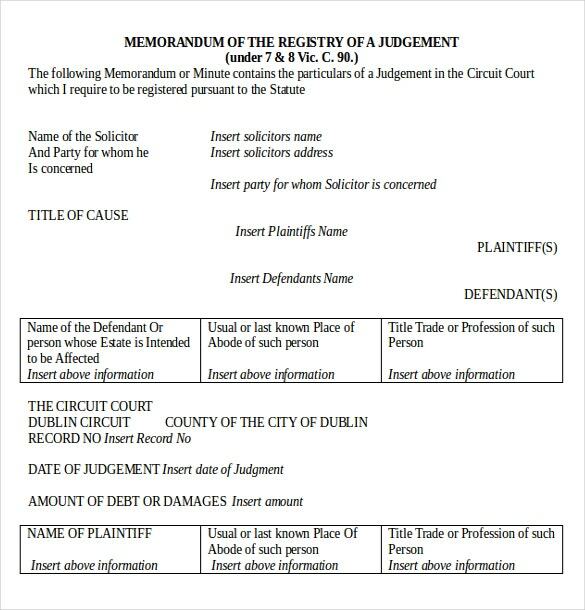 courts.ie | If a legal judgement has been passed, it must also be followed by an official memo that gives relevant information about the judgement. 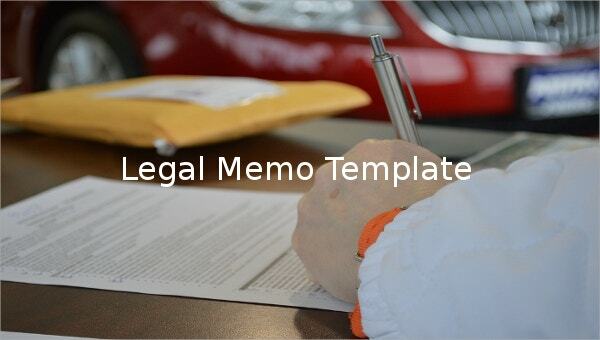 To do that, you could take the help of this template which states everything starting from the name of the defendant. 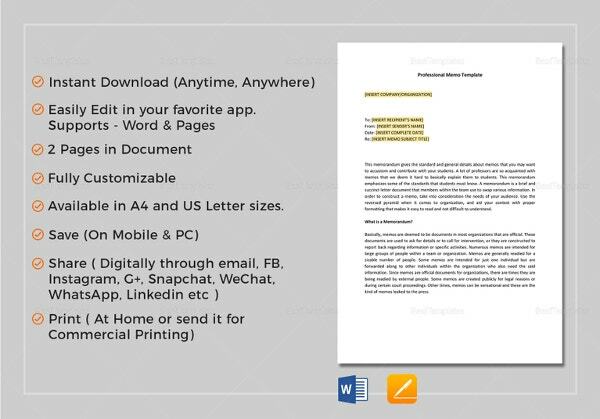 alwd.org | There you go, that is the perfect example of the format of a legal memo. If you didn’t know it already, you need to look up this template and follow it down to the last detail. You start with the issue, then the answer and finally the facts. 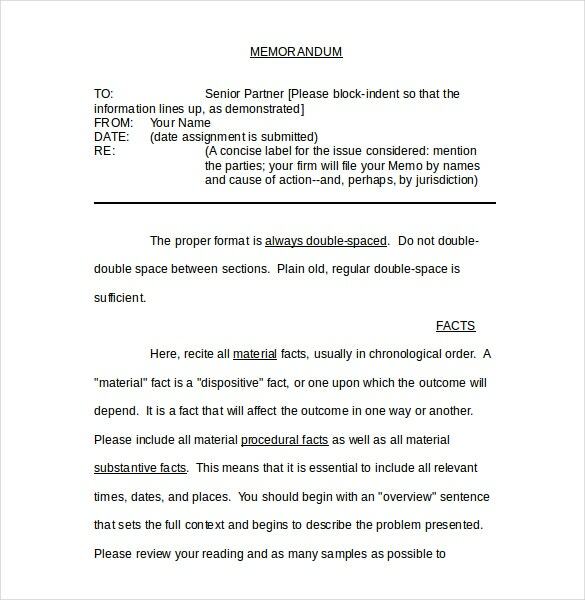 faculty.law.lsu.edu | If you’re planning to send out a legal memo to someone, you need to back it up with facts. Otherwise, it wouldn’t be legally binding on the person in question. If that’s what you have been looking for all this while, you cannot afford to miss out on this spectacular template.